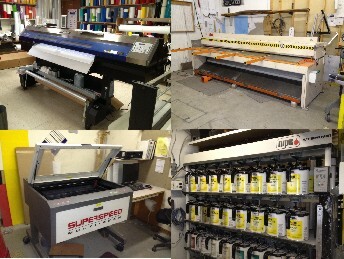 Classic Signs Inc. has made major investments into state of the art manufacturing and installation equipment. With the advantage of these tools, CSI is able to take your dreams and turn them into realities. Our investment begins with our 10,000 square foot manufacturing facility incorporating a full complement of departments including a paint booth, wood shop, metal and welding shop, digital print and design rooms, CNC routing and laser cutting, engraving and assembly area for ADA signage. 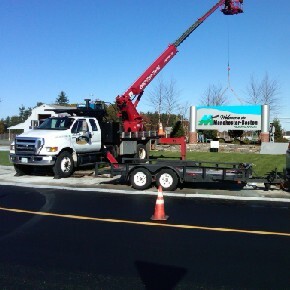 Our 60' crane with a two person basket allows us to lift and install 99.9% of all the signs we build. It is used for servicing signs as well as general lifting for contractors such as HVAC and builders.